Custom software development with domestic leadership and the top, proven offshore engineers in the world. Never stress about software development again. Gain experienced domestic software leadership + high quality development from the deepest bench of fully-managed software engineering talent in the world. The Accelerance model for custom software development gives you the advantage of domestic, dedicated software leadership coupled with the largest bench strength of qualified talent for software development in the world. Your ultimate goal is a great product, on time and on budget. Our goal is to exceed your expectations in all three areas. Your product will be developed by the deepest bench of proven engineering talent in the world. The Accelerance global development model means hourly rates for custom software development are lower than domestic firms. Those savings give our clients a cost advantage of 30-40% over hiring internally or outsourcing locally. Accelerance drives your software from concept to delivery. You’ll work with a dedicated, domestic software leadership team with proven experience in software development, project management and global teams. Talk to an expert and get started today. When it comes to custom software development, your options are overwhelming - from local software boutiques to offshore and nearshore vendors. So how do you choose? Accelerance offers the best of all worlds. Check it out in our 90 second video. Every Accelerance client is unique. So, Accelerance designs a software leadership team to deliver the best outcome for your situation. If additional tech leadership gaps are discovered, count on Accelerance to be your one-stop-shop for all the talent you need. Each client has their own comfort level with consultant face-time. 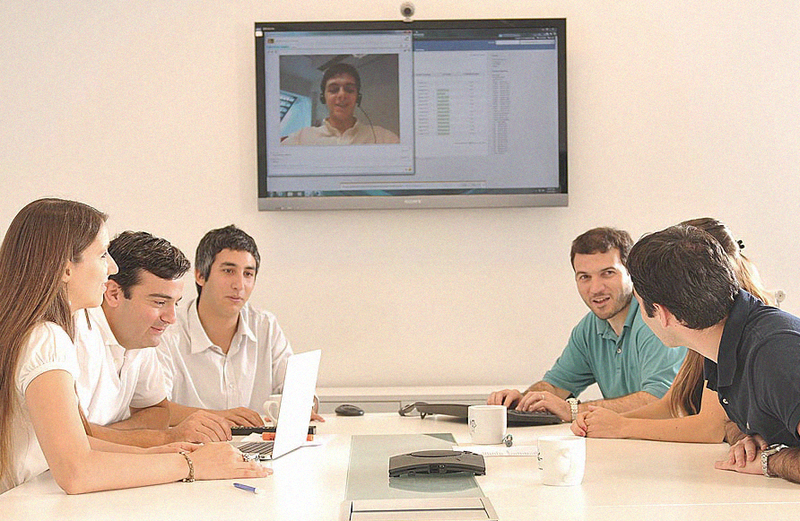 Some clients are happy with unlimited video conferencing and others want full-time embedded contractors. Your Accelerance software leadership team is available to be on-site as frequently as you require. The Kickoff starts on a mutually agreed upon date as quickly as you’re ready to begin and will be complete within 2 business days. The Accelerance Discovery Process is a quick and intense effort to define your initial software plan. The team includes the stakeholders from your organization who can communicate the business problem to be solved, the set of key ideas (features) to be included along with your Accelerance software leadership team includes (as needed): a technical lead, a project manager, designers, developers and architects. Accelerance will perform analysis, estimation, architectural design, and create a Discovery Report with all our findings. You've got one shot to give your customers or users a compelling software product that truly offers real value. If your solution misses the mark, it is difficult and expensive to go back to the drawing board and try again. Many hear “Product Design” and they think about graphics and fonts and colors, or Apple’s ubiquitous white, sleek consumer gadgets. Those are examples of design elements, but they are not the design of the entire product. Truly great Product Design comes from doing the research and analysis necessary to understand who are the people that will use your software; how, when and why will they use it; what are the actual problems these people are experiencing, which are so painful or costly that they will willingly change their behavior to adopt your solution? At what point in time, in their work day, in their life, are the features of your product going to be the most relevant? During Accelerance Product Design, we'll gain thorough understanding of your users. We'll explore the how, when, where and why of the problems you need to solve. Then, we'll craft a User Experience that applies the power of your software to relieve or even eliminate those problems.